Fox News defends Trump, calls Left claims of Russian US election intervention hypocritical; Obama intervened in elections against Netanyahu. Fox News defends President Donald Trump who is facing a frontal attack for not confronting Vladimir Putin on Russian intervention in the US elections when the two met on Monday in Helsinki. Fox Senior Anchor Sean Hannity argued interference in foreign election campaigns is a very common practice and that "everyone does it". Moreover, he said Hillary Clinton was also assisted by foreign elements to collect "dirt" on Trump and get the FBI to open an investigation against him before the 2016 election. The same case against Trump - including rumors about Trump's embarrassing photographs taken in Moscow - contained "Russian propaganda," Hannity said. Hannity reminded viewers that President Barack Obama did not hesitate to intervene in the Israeli election campaign against Binyamin Netanyahu. This is despite the fact that Israel is "America's number one ally in the Middle East." In the United States a special investigation has been going on for a year-and-a-half to determine whether there was a conspiracy between Trump and Putin in which Putin intervened to help Trump win. 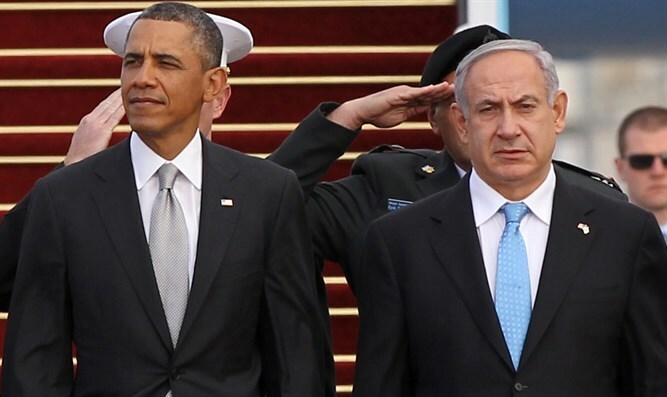 John McLaughlin, an American who served as Netanyahu's pollster in the 2015 elections, said after Obama's election to the US media that Obama had intervened in the Israeli election campaign, accusing him of uniting the Arab parties and contributing to the V15 that worked to replace the government.